There are so many things to do in Daytona Beach; the challenge is fitting everything in while you are here! Whether it’s race season at Daytona International Speedway or high summer season and the families are rolling into town, Daytona Beach’s calendar of events is nothing but action-packed. 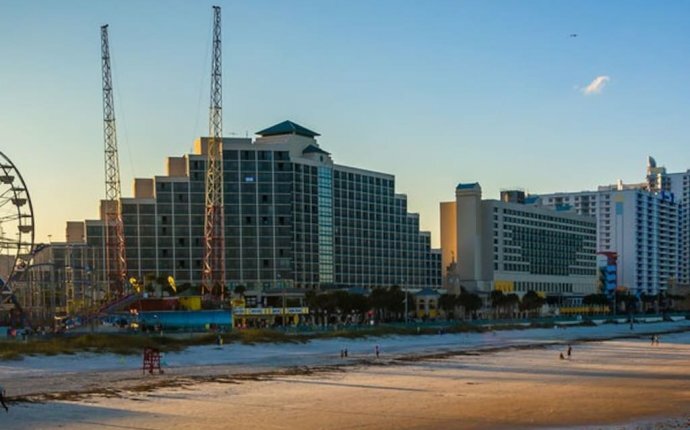 Browse these Daytona events and find out just what we mean when we say this city is full of excitement.If it is a special event, a show at the Peabody Auditorium, a show at Daytona Beach’s Historic Bandshell, or a conference at the Ocean Center that is bringing you to our sunny city, we have a room for you. Daytona Beach is known for putting on some great annual events that attract visitors from all over the world. No matter what time of year you come to visit, there is bound to be something fun happening in our town. It’s more than just a beach! Racing fans flock to Daytona Beach each year for Race Week, where the Daytona International Speedway is just a short drive from the Perry’s Ocean Edge Resort. Watch the best stock car drivers in the world compete at the famous Daytona 500, which is NASCAR’s biggest and most prestigious event. This is a popular event that draws visitors from all over the world so be sure to book your reservation early! Bikers travel from all over the country to Daytona’s largest annual event – Bike Week. Perry’s Ocean Edge is just a few minutes away from all the Bike Week action, which includes entertainment, bike shows, charity runs, riding the loop, and plenty more fun within the 10 day event. We will sell out so book your room early! Spring Breakers enjoy traveling to the World’s Most Famous Beach for a warm retreat from the cold weather up North. Spring is a great time of year in Florida, the weather is perfect and the ocean water has warmed up. Sit back on the beach and enjoy your spring break! Enjoy a summer evening with the family on Daytona Beach’s boardwalk. Grab a bite to eat and a blanket and sit back and enjoy the sounds of summer at the Bandshell and stay for the fireworks after the show. Click here for the concert lineup. Spend Fourth of July weekend in Daytona Beach for the popular NASCAR Sprint Cup Series race, the Coke Zero 400. Independence Day is something we take seriously here in Daytona, so be prepared for fireworks and plenty of celebrating! This is one of the newest yet quickly growing festivals in Daytona Beach. The Daytona Blues Festival features 3 days of music from top blues performers in a variety of blues genres. This festival is the weekend before Biketoberfest (R) and has great weather, food, and music. Located at the Jackie Robinson Memorial Stadium. See event dates and ticket info at Visit their website. This weekend event is a smaller but very popular version of Daytona Bike Week. Hosted by the Daytona CVB, Biketoberfest is held each year during the fall and attracts motorcyclists and enthusiasts from all over the country. Visit their website.